Since the beginning of the Tunisian Revolution, my brother, knowing that I only receive my news from a single source, Le Monde, and that I have never tweeted or logged onto facebook, has taken it upon himself to email me various articles on the uprisings in the Arab world. The articles rain in on me, but I have trouble opening them all on my blackberry, and only read the most important pieces. He does acknowledge however that my Le Monde fetish is useful in these times, because the French have unique take on North Africa, and so he even emails me Le Monde articles. I scold him however, as these previews spoil the fun of savoring a newspaper one page at a time. You also all know by now how much I appreciate a stale and postdated Le Monde newspaper! 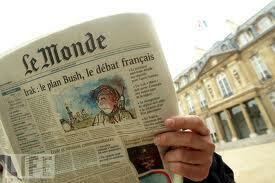 The truth is that I have been reading Le Monde for over twenty years now. I have grown accustomed to its approach, to its presentation and to its font. I have been reading it for so long that it has altered my mindset. Take the review of the film Inception, which I posted on this blog, BEFORE I found it in Le Monde: it was practically the same interpretation, I can proudly admit. Some friends would call this a brainwashing. The second reason for my strong inclination to read this paper is my infatuation with the French language and culture. It keeps me in tune with cultural trends in France and with regional French news. I must admit however, that I barely understand French politics, especially when it is presented in its most intricate details in the paper. I prefer to read about French politics in American papers, which always explain those obscure details that are considered to be too obvious by the French. Le Monde is not about events, it is about the analysis of events. 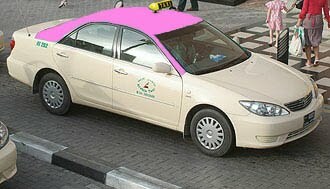 Its writing style is very erudite and literary. Many articles are replete with descriptions that I enjoy reading, just for the imagery, the perfect grammatical structure and the use of rich vocabulary. Le Monde's French "barely" journalistic, and is richer than many American papers, or for that matter LeFigaro, its French competitor. Le Monde is an educational tool for me. I read it as a strong reference and often take their recommendations seriously: I will often read a book, or see a film, or learn about an artist through their reviews. If it makes it in Le Monde, then it must be good! Most of the time, I read 70 % of Le Monde's contents, often skipping the dry economic and specially French political pieces. I savor the rest, hoping to absorb the information. Some articles are very long and I will not finish them in one sitting. I fold the paper at that page and enjoy the remainder a little later, or perhaps the next day, delaying my reading further. I seldom read the news of the day on the same day. I have quoted Le Monde and translated it for my husband many times. He will always know their twist on events for having heard it second hand from me. It is a known fact now that my children don't call the paper a "newspaper" or even the french word "journal". They have made Le Monde a generic name for newspapers of all kind. Come June 15 of every year,I ask for the delivery of Le Monde for three months at my summer house in France.It is primarily for the benefit of the blogger who visits for a couple of weeks,and awaits piles of stale issues before and after her visit.Meanwhile,I read some articles of interest like gossip in the affaire Betencourt family,or about Carla Bruni and her bohemian life.Sometimes,I stray to read about the Middle East,and save the weekly TV supplement to check on the French programs.Mind you,I dont subscribe to any non-French cables,so my favorite channel is ARTE,the equivalent of PBS in the US and BBC in GB.Though I do get the International Herald Tribune,the Weekend FT and the Sunday Times;Le Monde remains the most challenging and intriguing for my feable French. It's a called a newspaper for a reason! It provides the news! Even the morning edition is stale when you're an obsessive-compulsive Tweet. Now moving on to Bahrain, Libya and......Sudan, Yemen, Algeria, Morocco, Iran, Saudi Arabia, Kuwait, Palestine, Mauritannia, and Jordan. Have I left a Middle Eastern country out?